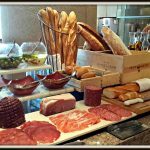 Many of you may still remember how much we love the Sunday brunch at Red Sky at Centara Grand at Central World. 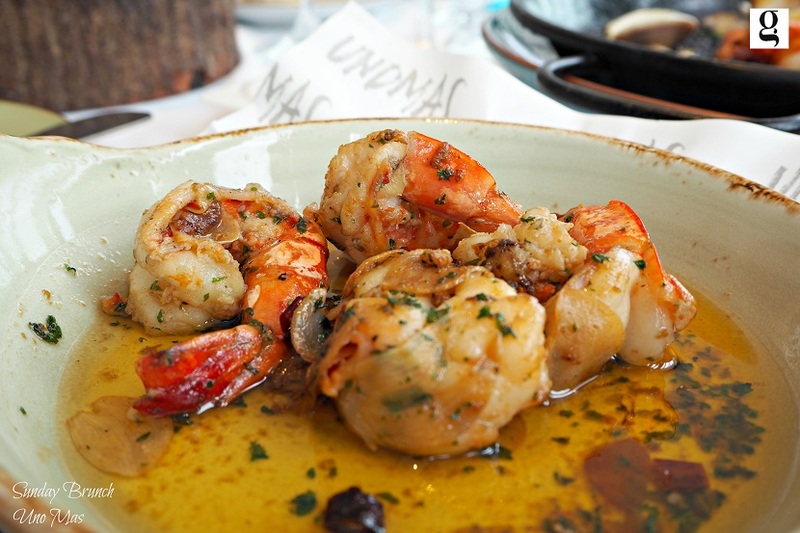 Since the opening of UNO MAS, this fantastic Sunday brunch has moved its location to the trendy Spanish restaurant. 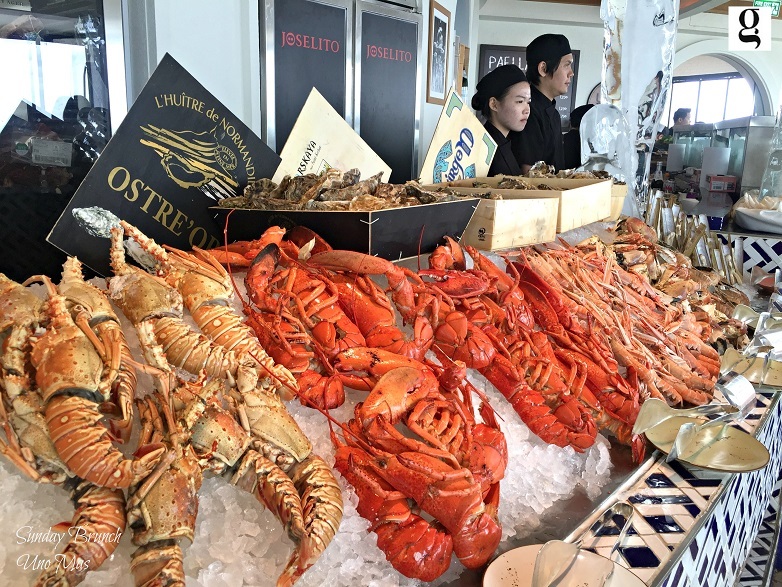 The Sunday brunch at UNO MAS impresses us with a wide variety of seafood, an authenticity of Spanish cuisine, free-flow of bubbles and wine as well as tempting dessert. 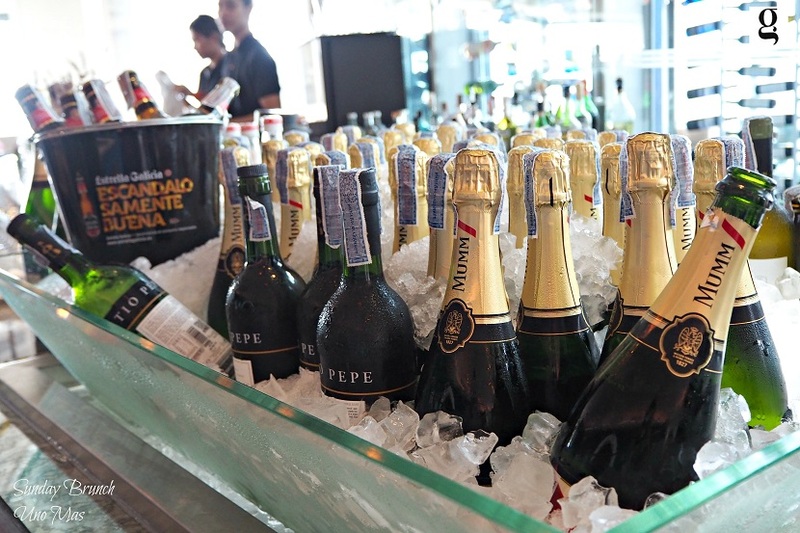 If you try the UNO MAS Sunday brunch once, we are quite certain you will never forget this brunch experience. 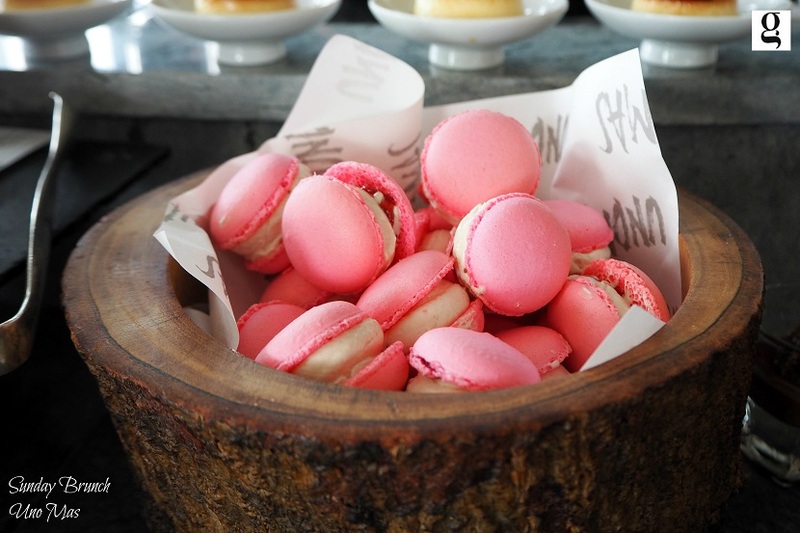 To us, it is the best Sunday brunch in Bangkok. 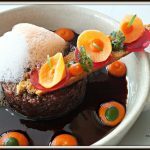 One of the very best Sunday brunches in Bangkok that you may not want to miss. 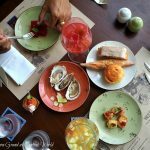 Why the Sunday brunch at UNO MAS is the best brunch ever in Bangkok? 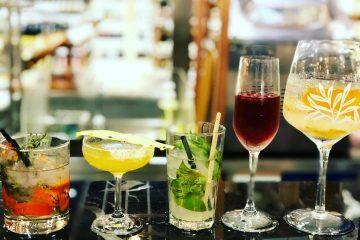 (1) Free flow of Champagne, red and white wine, Sangria, fruit juices and many other cocktails are served to diners. For wine, a server always fills up the glass for you until you explicitly tell him you are wasted. My kind of happy Sunday! 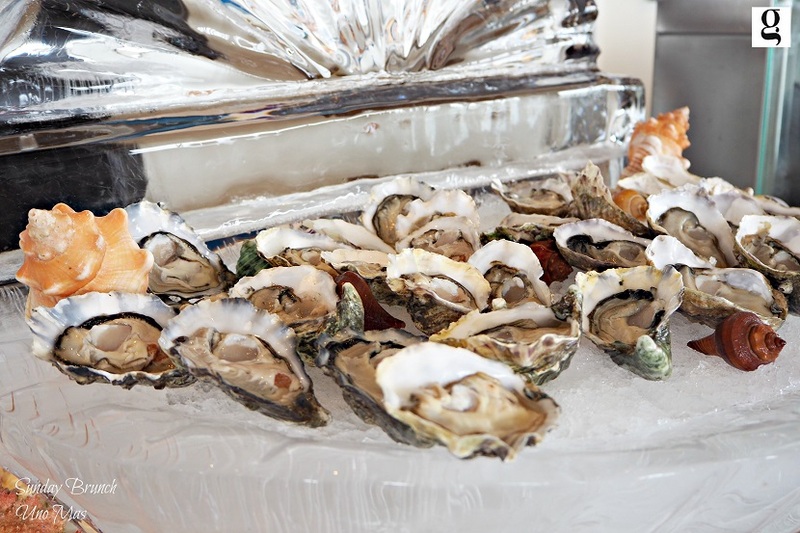 (2) Quality seafood imported from around the world was featured here, ranging from lobsters,razor clams, oysters, king crabs and even caviar. 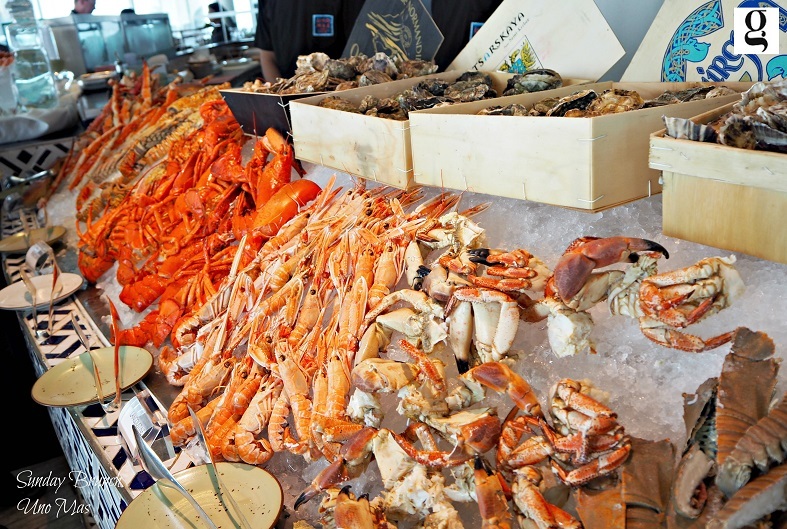 Amazing refill rate – You can always see full piles of seafood at its station even towards the end of the brunch. 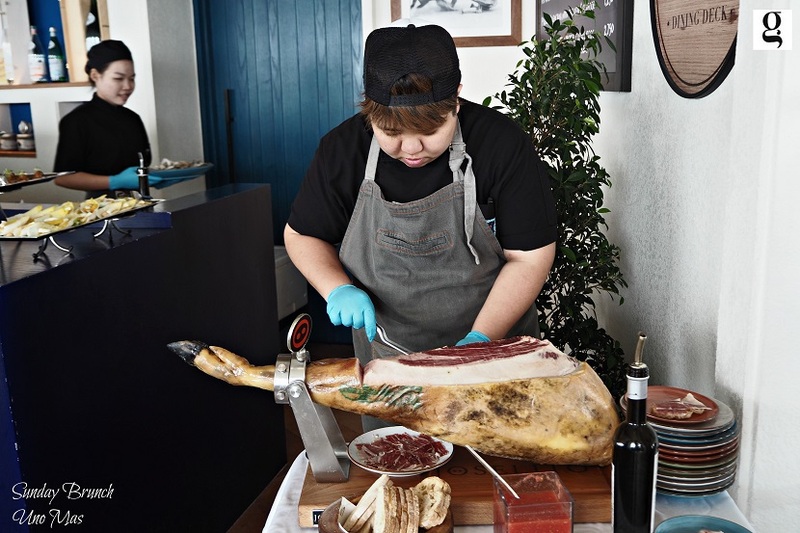 (3) Delicious, appetizing Spanish tapas bar serving premium Spanish cold cuts and oreo foie gras! 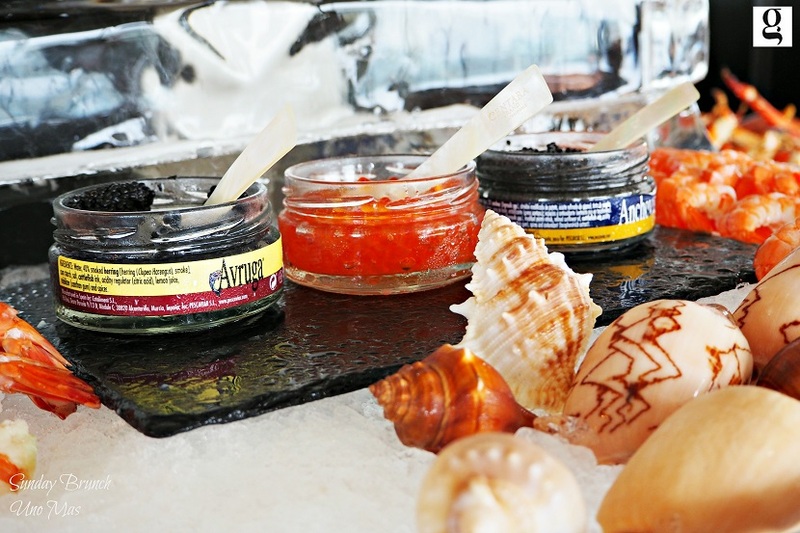 Something that you can only find here at UNO MAS! 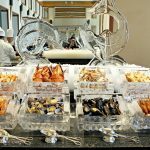 (4) Food trolleys pop up from time to time to surprise diners with different delicacies! Here is a cheese trolley! 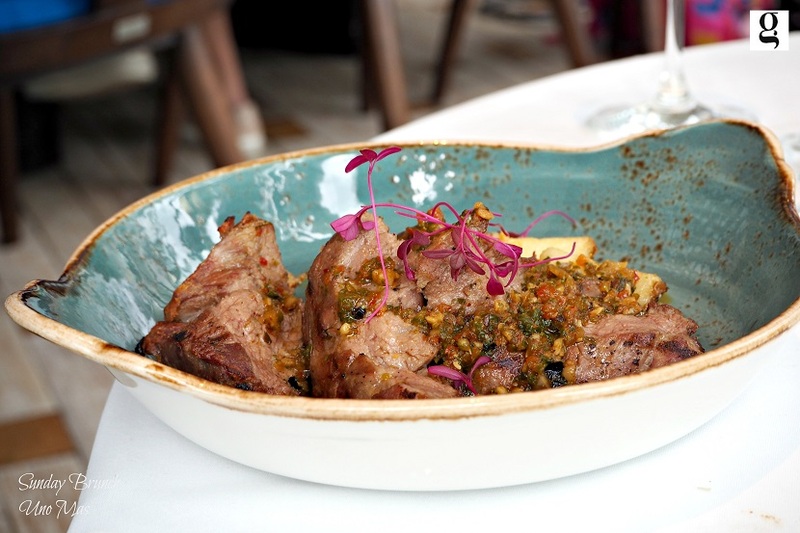 (5) Lots of tempting choices of Spanish à la minute main courses – always served hot to your table! 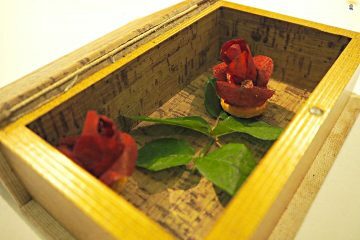 If you have a petite appetite, you may not be able to all main dishes! 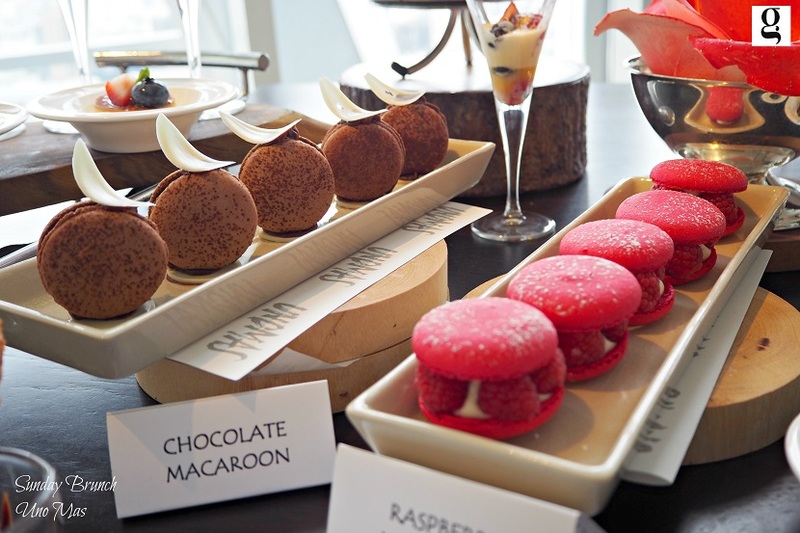 (6) Irresistible dessert counter featuring macarons, churros, fresh quality berries, ice-cream and many many choices! 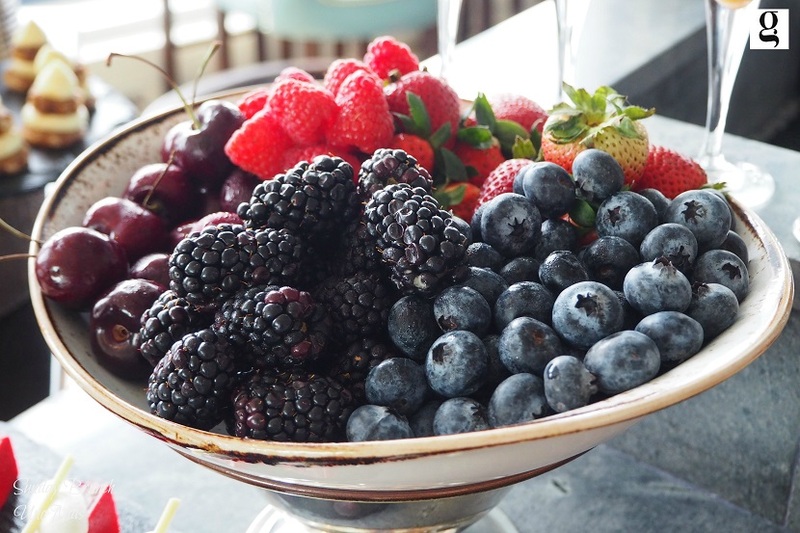 It’s heaven for dessert lovers. 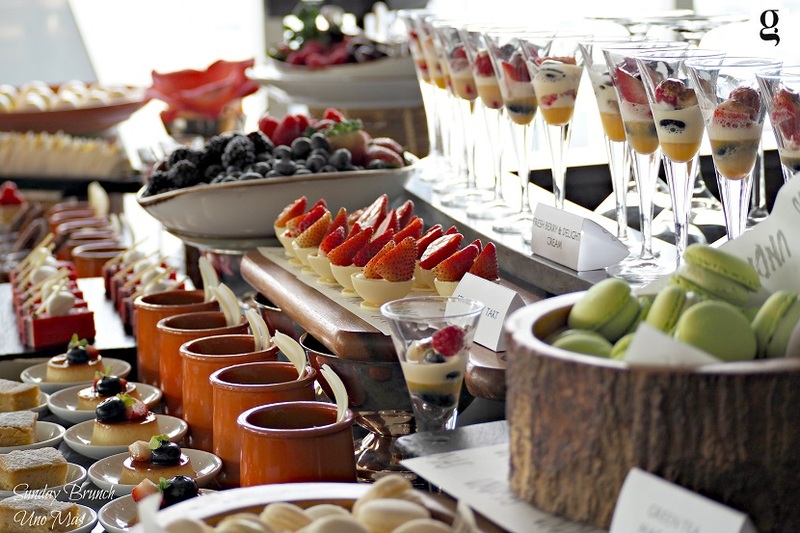 What You Must Try at this Sunday Brunch?? 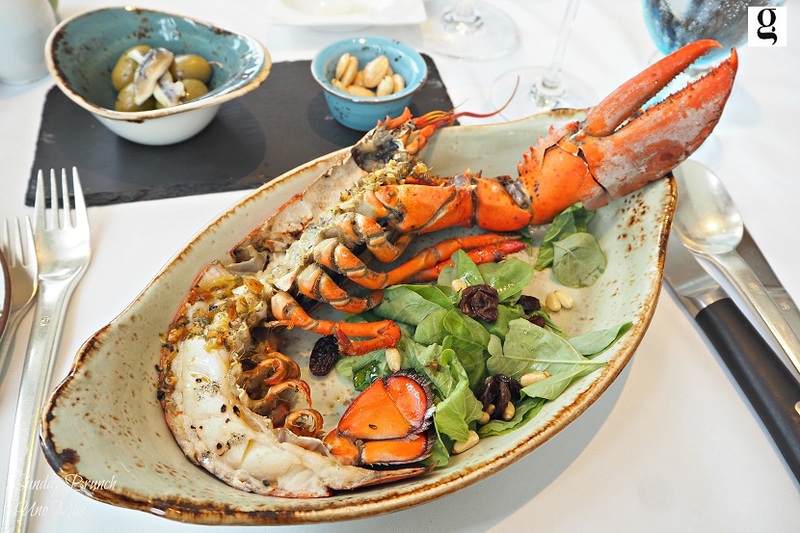 Forget about calorie, doctor advice or cholestoral, eat the whole piece of lobster meat and dive into its the natural sweetness! It may look oily, but this dish is devilish! You may end up dipping pieces of bread in this appetizing chilli-flavoured olive oil like me! A plate-licking dish that I ordered twice to satisfy my craving for it. One bite of a piece of melt-in-your-mouth tenderloin excited my tastebuds so much! 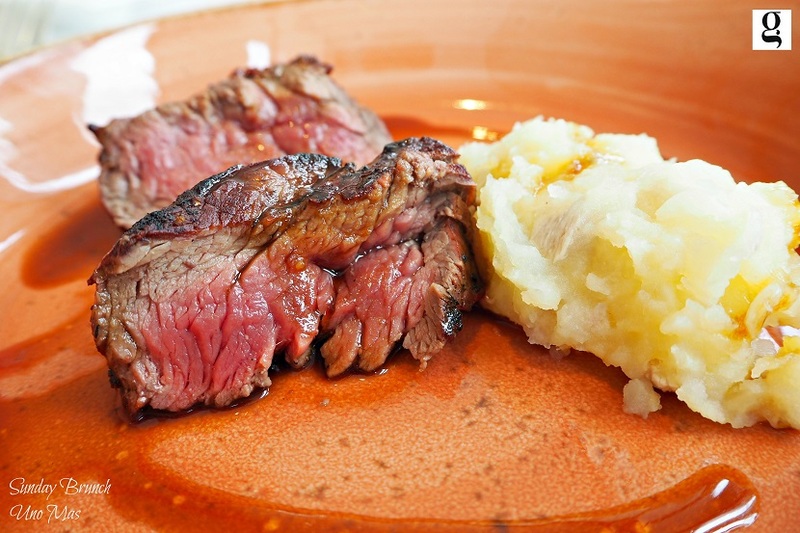 A very delicious medium-rare beef that made me uncontrollably order two times. 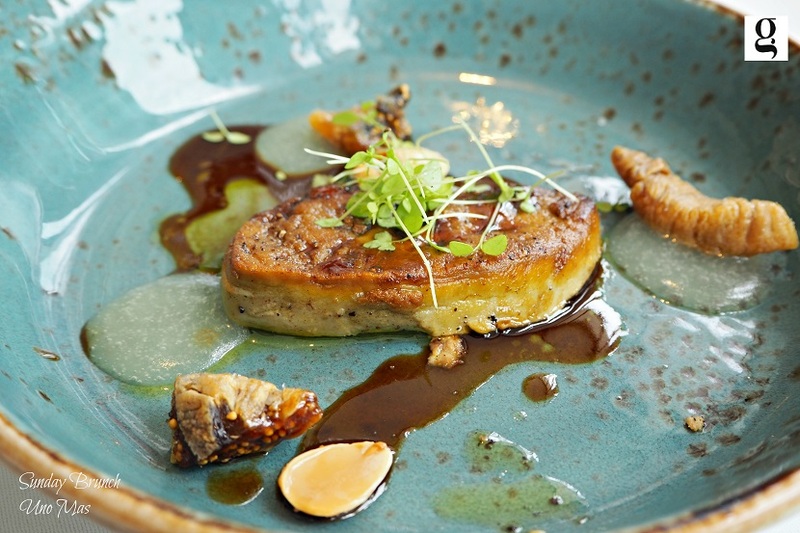 The dry figs naturally added some fruity flavour to the duck foie gras, which was pan-seared just right to make the inside creamy and smooth. 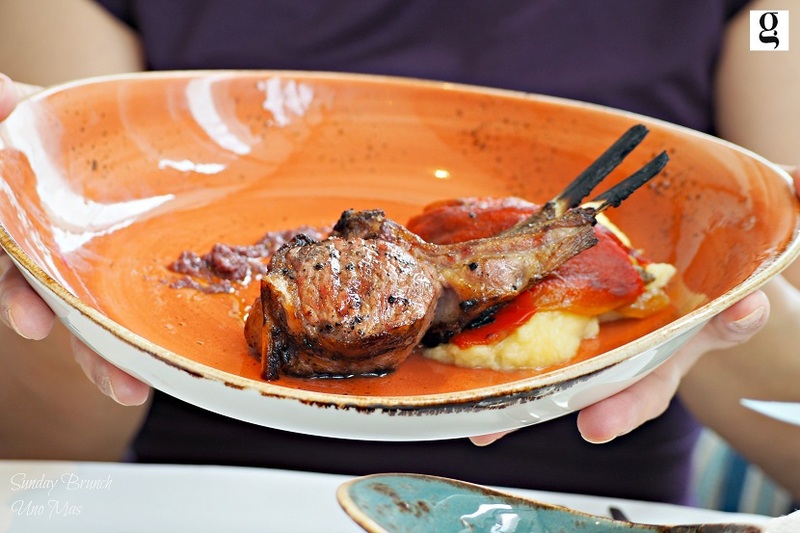 I could effortlessly cut the lamb rack and enjoyed every bite of it with my red wine! 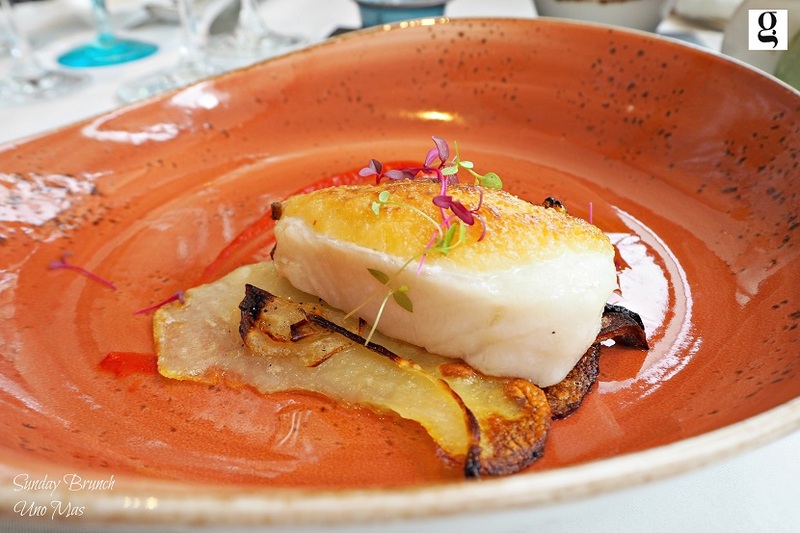 It was the fifth main course I savoured and fell in love with. It’s huge, but because it’s delicious, I could easily finish this dish! 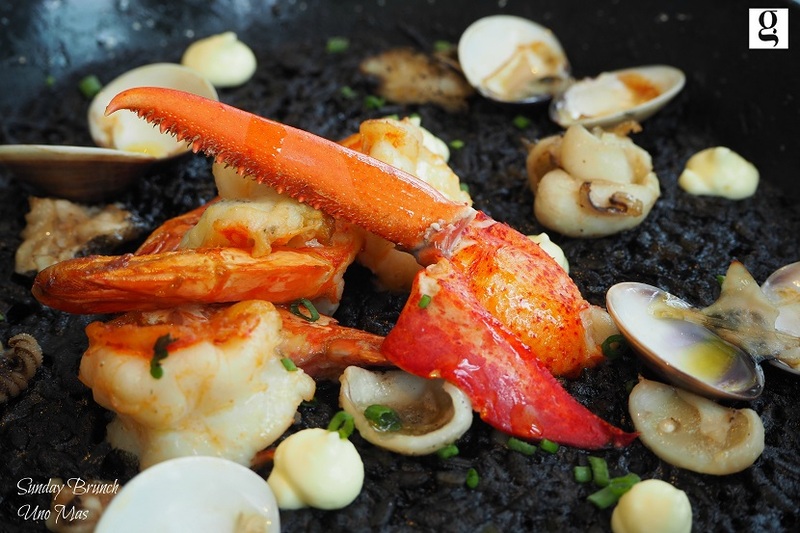 Flavourful paella! Juice from the prawns and clams was fully absorbed in the paella. 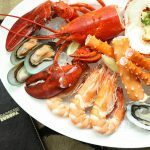 This seafood counter was there to solely put diners in awe! 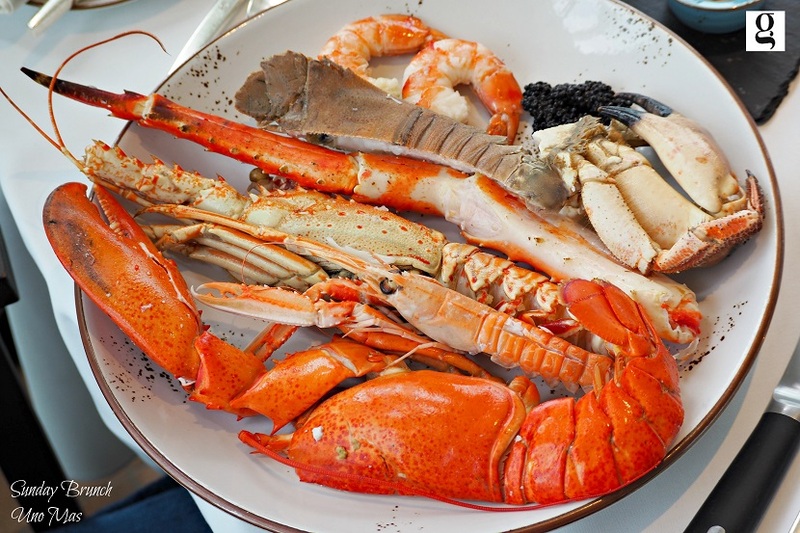 Each kind of seafood was of its best quality and freshness. 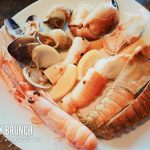 What further amazed us was the super fast refill rate which guaranteed ample availability of seafood even towards the end of the brunch! 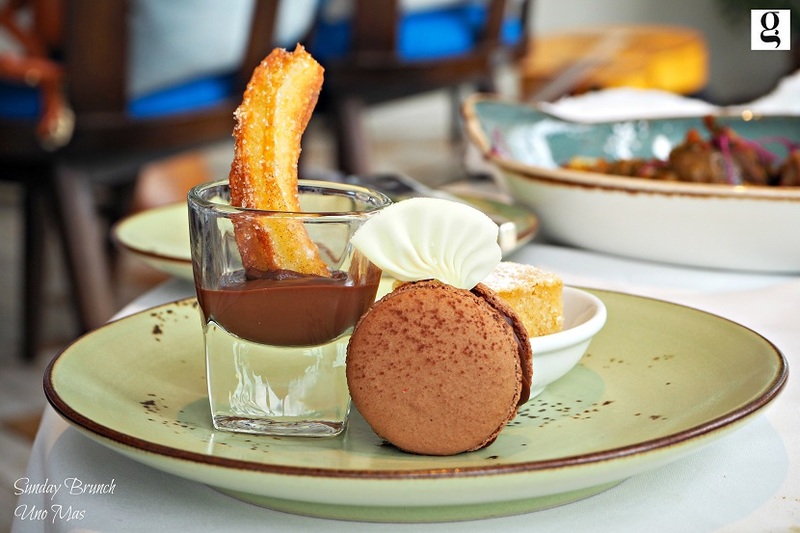 Never ever miss their churros with dark chocolate, fresh berries, and macarons! 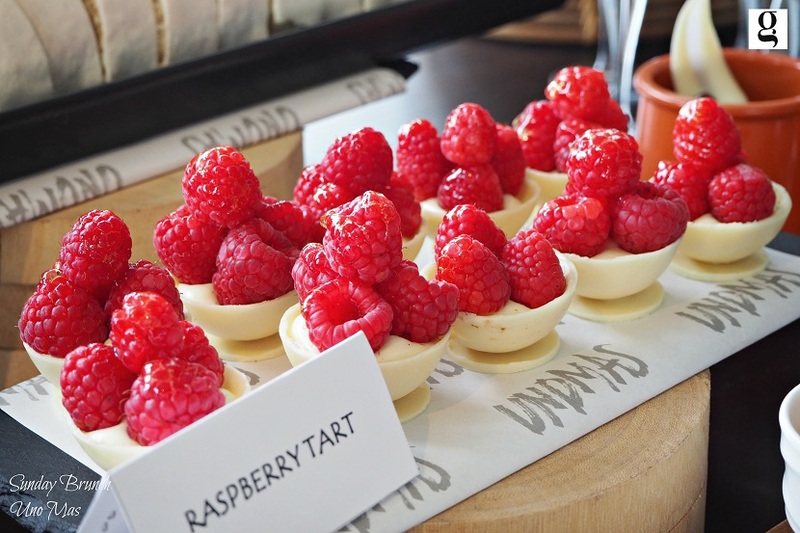 You may need to beat other diners to the punch to grab a full plate of these desserts! 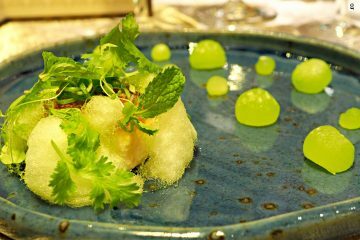 After enjoying the Sunday brunch at UNO MAS, I have ranked it as one of the top 10 brunches in Bangkok! This is also the reason why we have selected this Sunday brunch as one of the must-try brunches in our latest eGuide on The Best Brunch Experience in Bangkok. 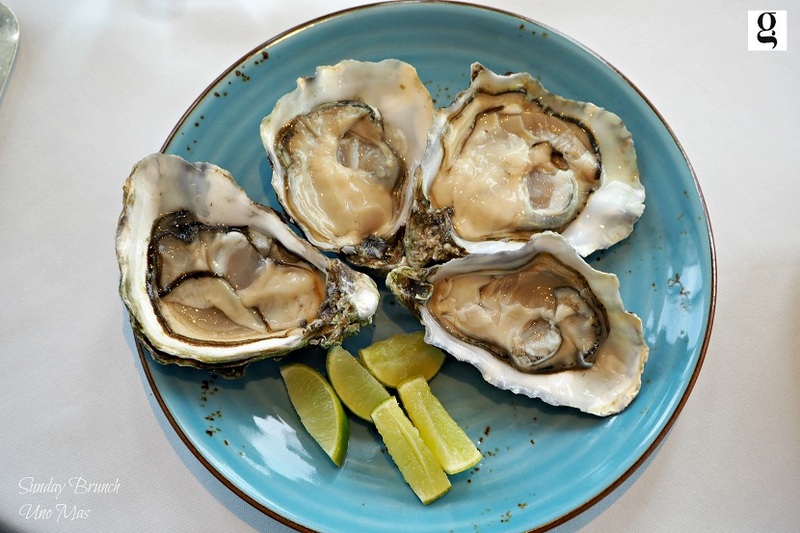 We highly recommend the Sunday brunch at UNO MAS to you all! To see more picture of this Sunday brunch, please go to Sunday brunch at UNO MAS gallery. Price: only THB 3,555++ /person including premium beverage package (subject to government tax and service charge).